Ben (Oakes Fegley) and Rose (Millicent Simmonds) are children from two different eras who secretly wish their lives were different. Ben longs for the father he has never known, while Rose dreams of a mysterious actress whose life she chronicles in a scrapbook. When Ben discovers a puzzling clue in his home and Rose reads an enticing headline in the newspaper, both children set out on quests to find what they are missing. Click Here To Get Top Film Reviews & Movie News Delivered To Your Inbox! I watched Wonderstruck at the BFI London Film Festival. I took my seat in the impressive Embankment Garden Cinema having neither read Brian Selznick’s novel nor watched the film’s trailer - a rare occurrence these days. As a result, I experienced Wonderstruck - with all its mysteries and reveals - as (I would imagine) director Todd Haynes intended. I would recommend that you do the same. I have included a trailer below but would suggest that you go into this film with as little prior knowledge as possible. That being noted, what can you expect from Wonderstruck? Well, this is a film of two stories - one that follows Ben in 1977 and one that follows Rose in 1927. While their lives are very different, the two children share a desperate desire to find out where they truly belong - a search that takes them both to New York. 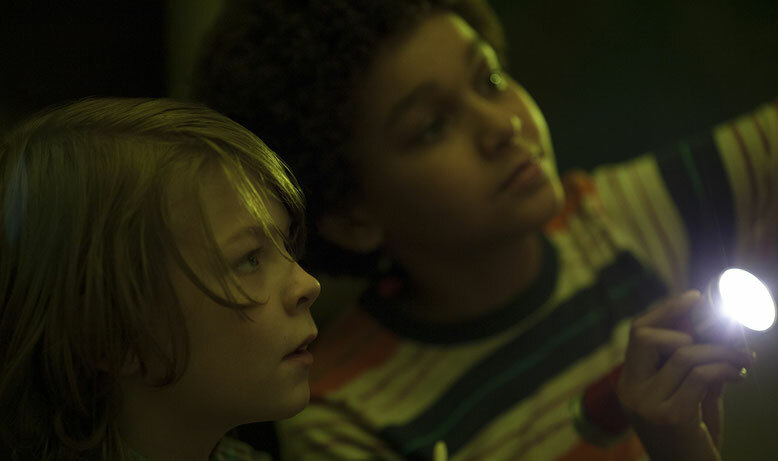 Tapping into the current trend for nostalgia, Haynes evokes a Spielbergian atmosphere in his film - you really feel the childlike wonder (and vulnerability) in Wonderstruck. The story is told through Ben and Rose’s eyes and both Oakes Fegley (so good in Pete’s Dragon) and newcomer, Millicent Simmonds, give powerful and emotionally affecting performances. Wonderstruck’s twin story-lines allow Haynes to create two distinct worlds. As we have come to expect from the director of Far From Heaven and Carol, this film is visually stunning. Every scene - from the black and white world of the 1920s to the sepia toned landscape of the 1970s - is presented with remarkable attention to period detail. Meanwhile, in a movie that explores themes of sound and hearing, Rose’s story is told in the style of the silent movies that she loves. Indeed, Wonderstruck is a gorgeous love letter to the silent movie era - reminding us that these are in no way lesser films when compared to ‘talkies’. Silent films were, of course, never actually silent. Music plays a key role. 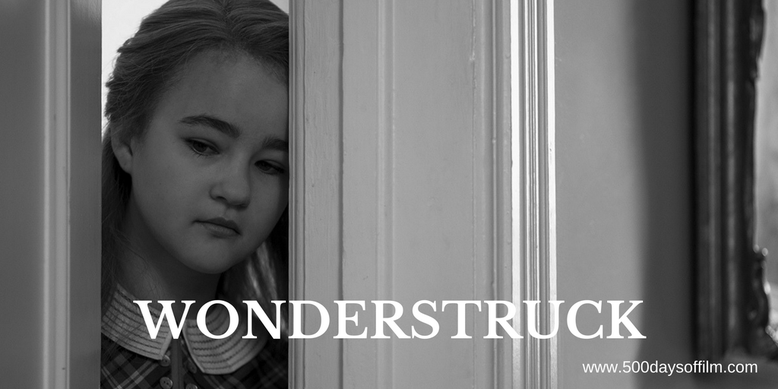 Fitting then that Carter Burwell’s incredibly powerful score is almost a character itself in Wonderstruck. The movie’s soundscape tells us all we need to know - it’s not subtle but it is undeniably effective. A mystery lies at the heart of Wonderstruck and as we watch and consider the symmetry of the two stories, we wonder how everything will be resolved. What, if anything, connects Rose and Ben apart from New York and their quest for identity and meaning? Sadly, it is here that I found Wonderstruck somewhat lacking. The conclusion of the story - of the mystery that has been building for much of the film’s 1 hour 57 minute running time - felt contrived and did not quite live up to my expectations. However, while I found the film’s resolution ultimately unsatisfying, this did not ruin my overall viewing experience. I left this film having thoroughly enjoyed all that I had seen and heard. Todd Haynes had reminded me of why I love movies - of the potential and emotional power of cinema. I guess I was feeling a little wonder-struck myself. I have just realised that I have reviewed this film without mentioning the performances of two of my very favourite actresses. Needless to say (and this will, of course, shock no one) both Julianne Moore and Michelle Williams are brilliant in their respective roles.